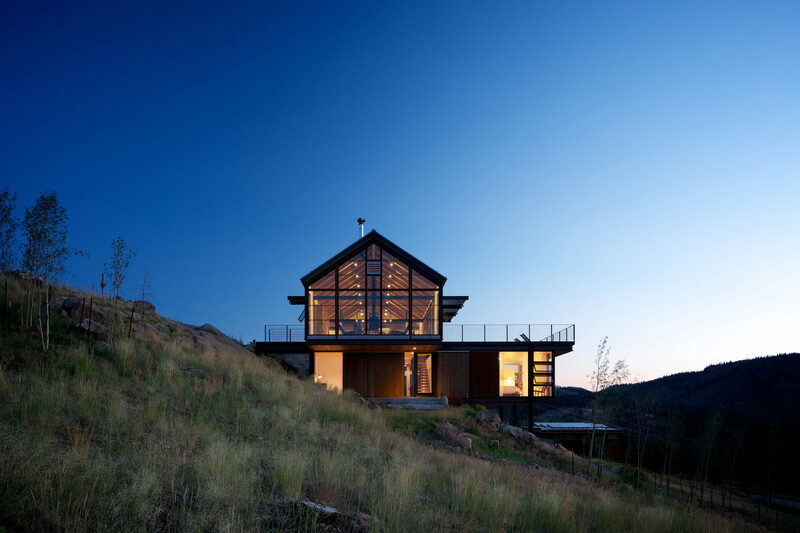 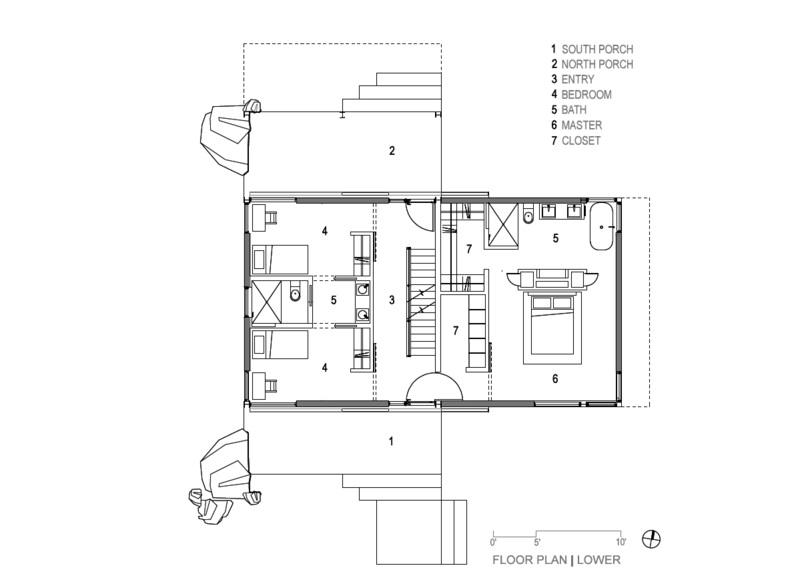 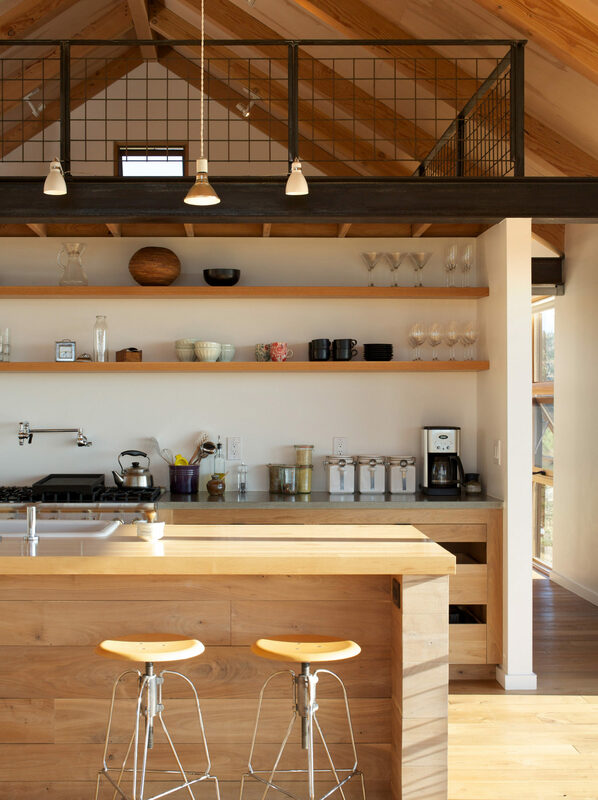 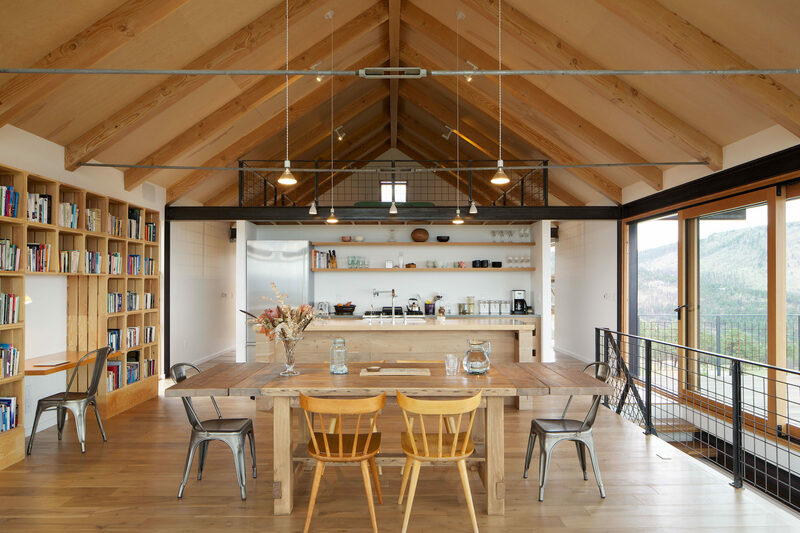 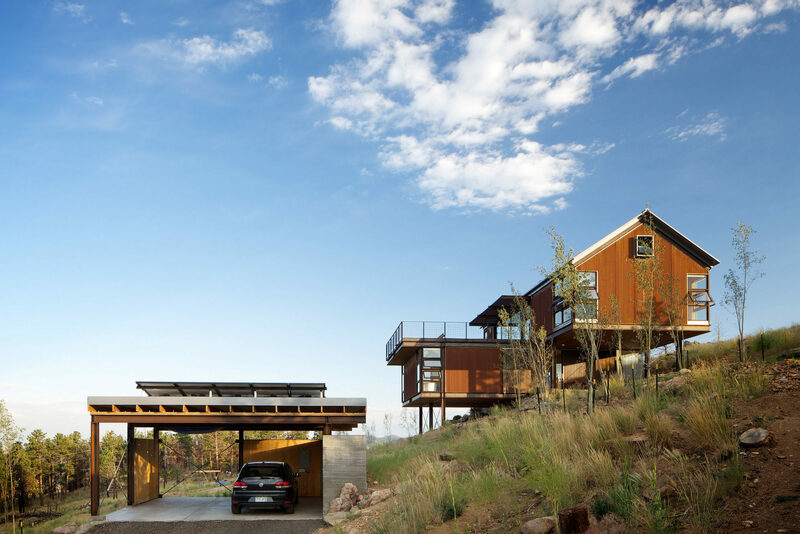 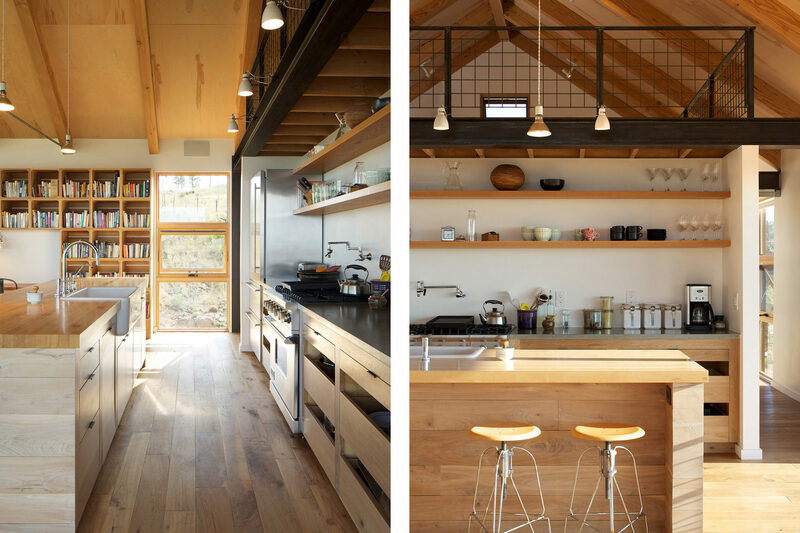 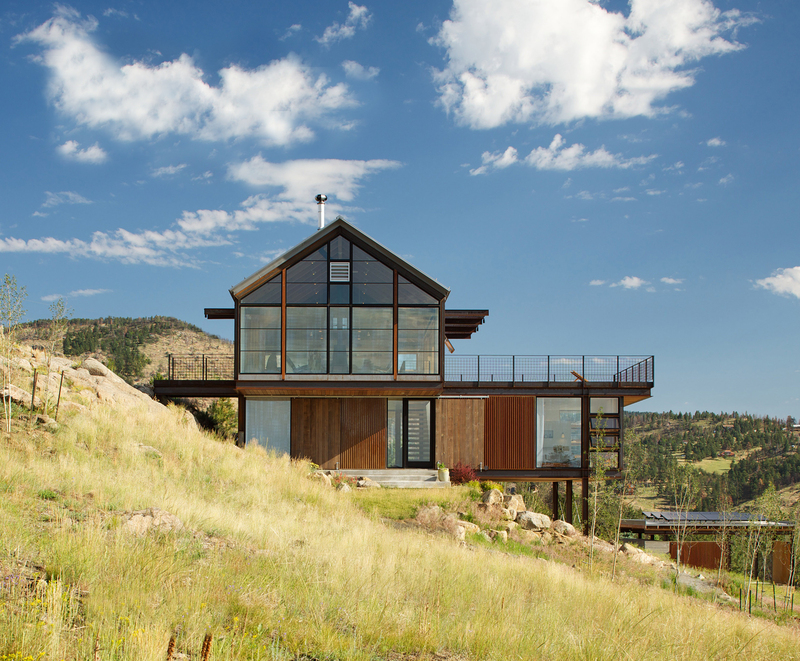 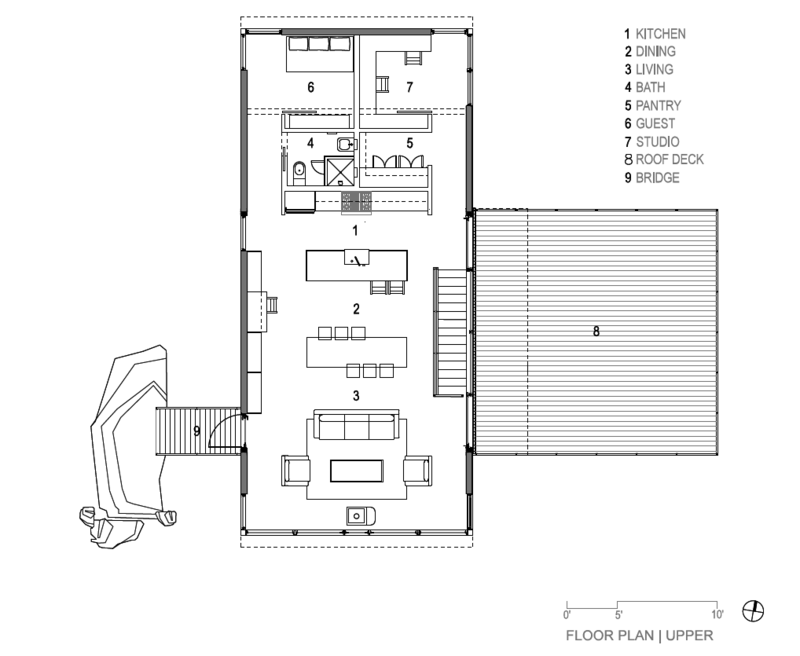 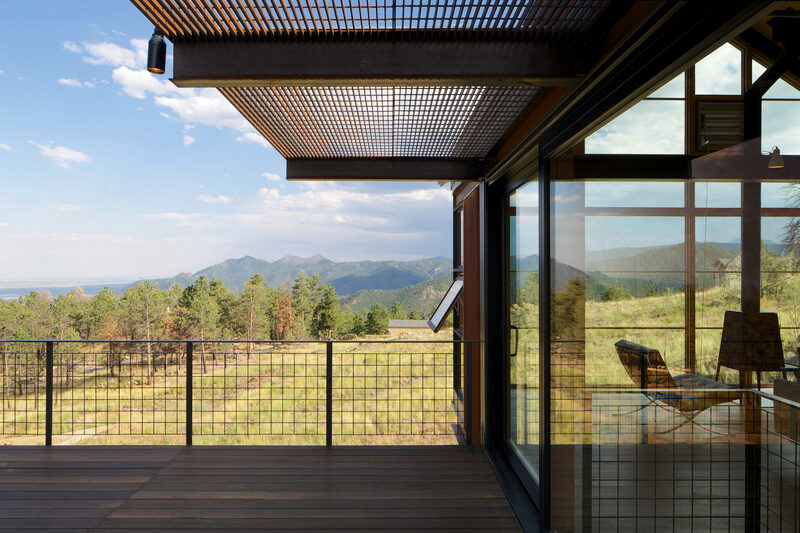 Sunshine Canyon House is located on an alpine hillside above Boulder, Colorado. 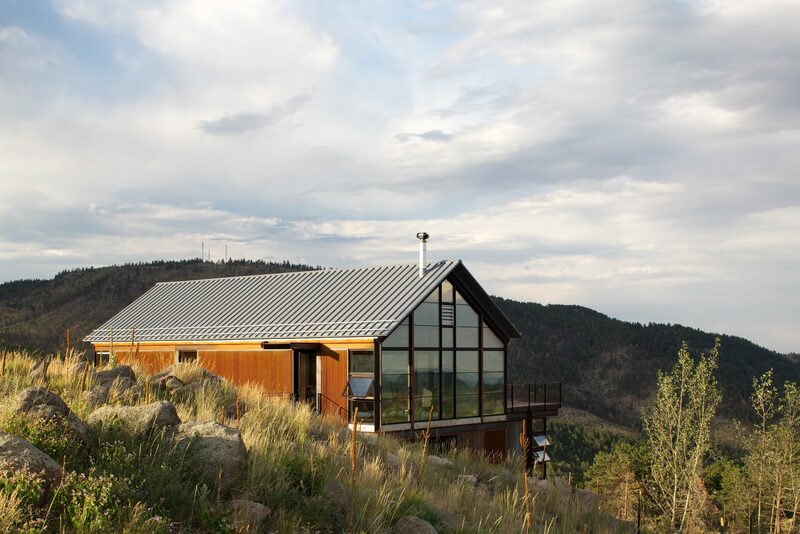 Several years ago, a major forest fire ravaged the property, burning a historic cabin and 100 year-old trees to the ground. 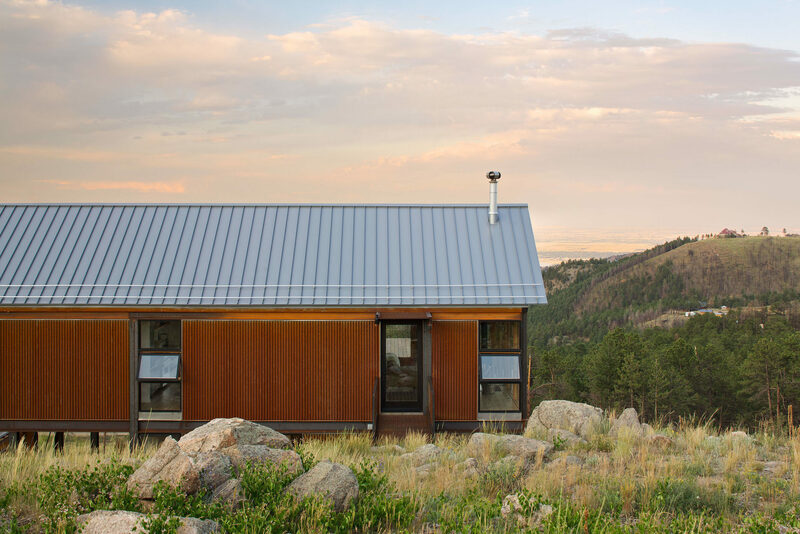 The newly barren site resembled the treeless landscape of Boulder at the turn of the century. 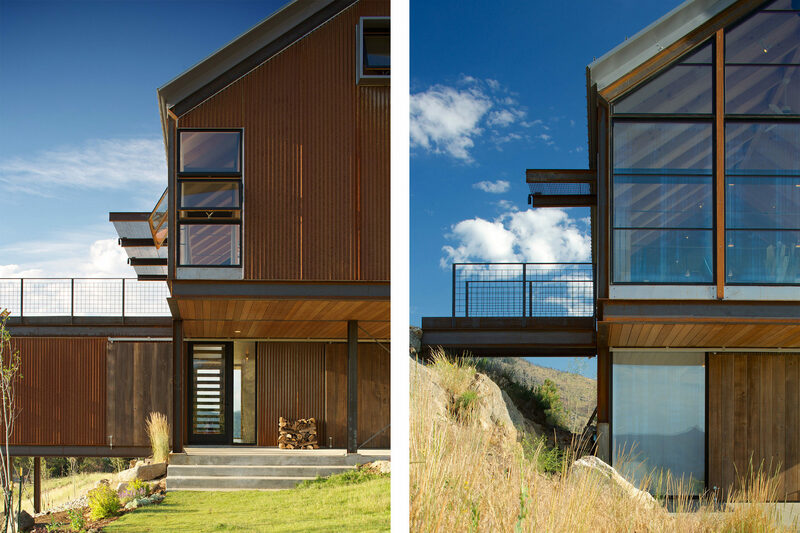 Rediscovering the architectural language of that era―particularly the region’s mining and agricultural heritage―provided the necessary design inspiration. 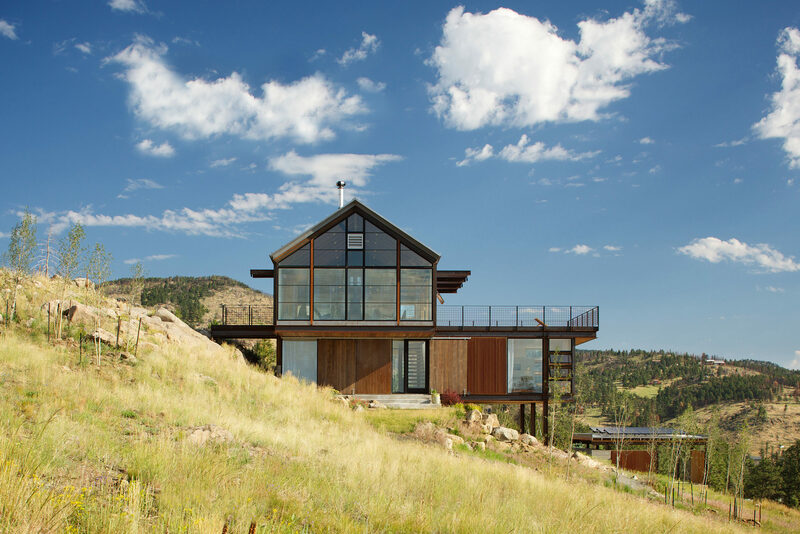 While the home’s gabled roof form and rustic materials recall the area’s early vernacular, the design seeks to establish a language of its own. 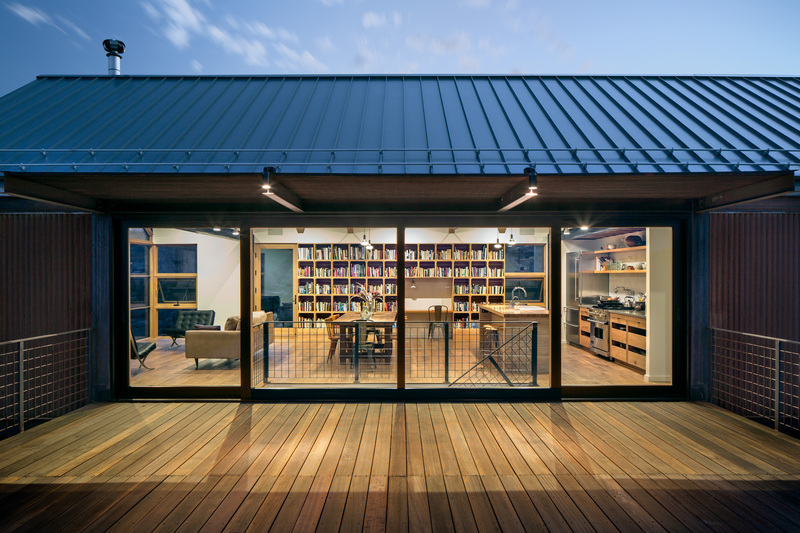 Exposed beams, rusted steel cladding, and industrial-size barn doors visually link the home to the community’s rural roots, while serving to create a fire- resistant, maintenance- free structure. 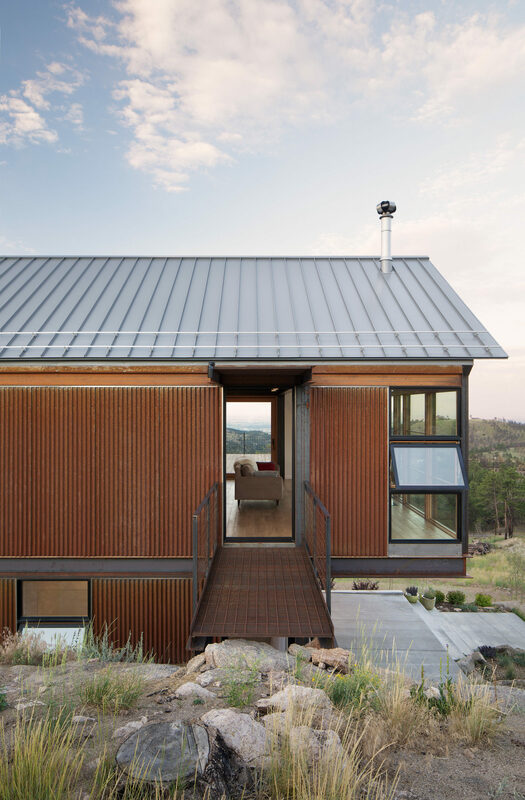 A 3.6kW photo-voltaic array, combined with high efficiency electric appliances and LED lighting, make the home electrically net-zero. 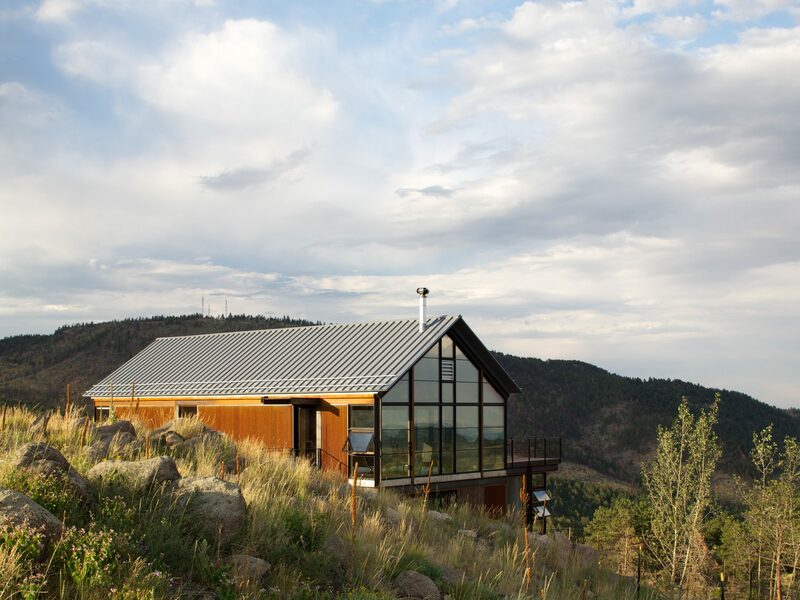 Closed and open cell foam insulation, triple pane windows with low-e glass, and rolling barn door shutters keep the house cool in the summer and warm in the winter. 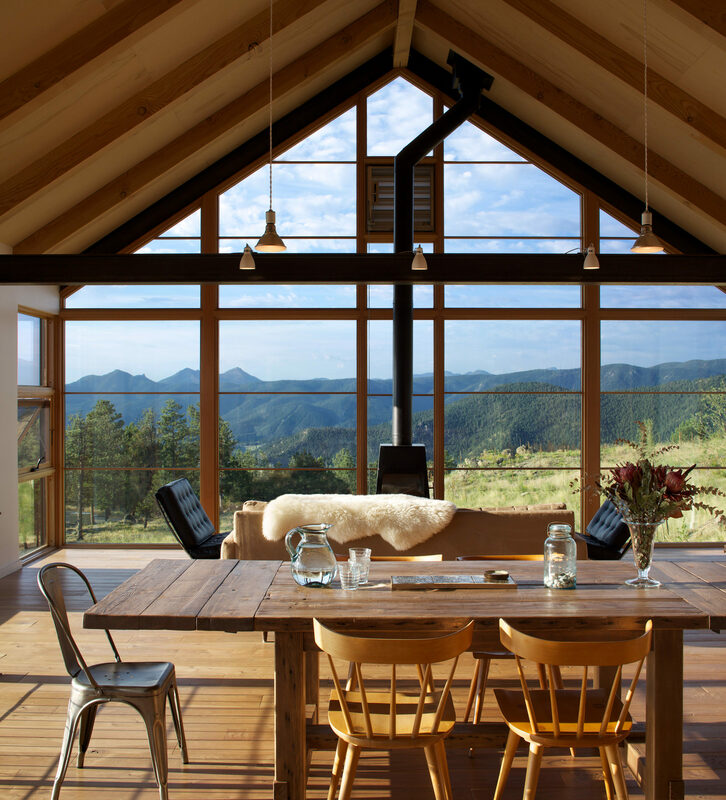 Heating is provided with a 96% efficiency boiler, hydronic radiant floor tubing, and a high efficiency wood burning stove. 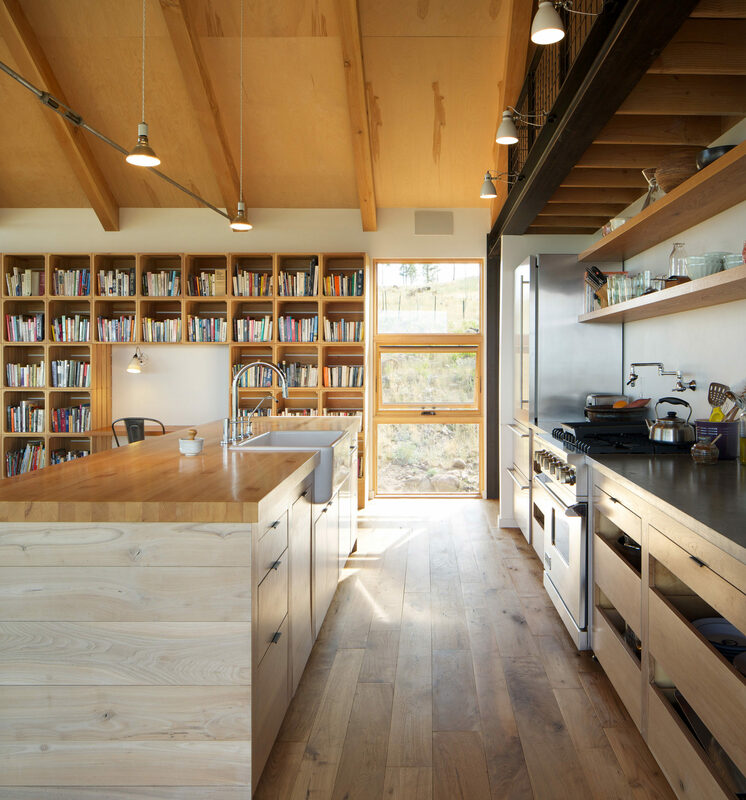 An open floor plan with opposing windows allows daylight and breezes to naturally filter through all sides of the home.